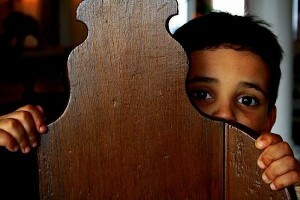 Speaking of boys and young men, is there any social epidemic which frustrates families more than a failure to launch? And with good reason. How frustrating to raise and educate a child who then lacks the interest and momentum to go forth and apply himself. Hollywood and popular culture like to poke fun at the problem, usually focusing on latent sexuality, as if losing ones virginity was the assurance needed that a boys life is on track. In real life, a failure to launch has deeper roots and wider importance, and its trademark inertia is broadly visible in the lives of many young men. How many boys experience failure to launch is hard to say. No one yet keeps statistics about social epidemics. Based on my email log, and the concerns raised at my talks, the problem is pervasive and escalating. Its clear that societies across the world want to motivate boys to achieve up to their potential, but how should we approach that challenge? And why do many boys need so much more motivation than girls? Feeling motivated is as simple as feeling excited to do something. We get this feeling of excitement when there is an aspect of positive projection in the task or object we are pursuing. This means we psychologically identify with a task or object of our focus. Conversely, few of us are effectively motivated by extrinsic rewards. For example, an Olympic athlete has far less interest in winning a gold medal as a means of acquiring a metallic token of personal accomplishment than the association with being a winner. The shift in status from being an aspirant to actually becoming a winner is enormous; it is both socially and psychologically gratifying – positive projection. Without an element of positive projection, boys act only out of a sense of responsibility or self- discipline. Our anticipation that fine young men will lead lives ruled by self-discipline is where all the trouble begins. By the time adolescence rolls around, a great many boys feel more confident about deciding for themselves where to allocate their time and energy, and will balk at activities in which they find no reflection of their deeper selves. The disciplined life is certainly admirable, but without a meaningful anchor a realistic positive projection it is destined to fail. For example, preparing university applications is anxiety provoking for boys who have no positive projection of themselves in that context. University life might feel like just another hoop to jump through, and when you combine that reticence with the right to say no, conflict is almost inevitable. The problem is much greater than boys who are averse to higher education. It affects boys who are stingy with their effort in all sorts of areas, including social activities, self-development, and even sports. Failure to launch signals a fundamental change in the trajectory of adolescence. Suddenly, the stepping stones which have long been endemic to becoming an adult have become remote islands of accomplishment. And there are a lot of boys who never choose to swim. Because for the most part, those islands are disassociated from the mythic dimensions of life that attract boys. In referring to the mythic I intend no judgment. I only want to suggest that it is stories that compel boys to act. The routine accomplishments that now signify the trudge from boyhood to manhood feel slow and dull, especially within the context of a world that relentlessly portrays status (power, respect, compensation) as an entitlement. Its as if the absence of status in a young mans life represents wrongdoing; an element of unfairness or oppression. That is precisely the cognitive distortion that underlies many a failure to launch. Embedded within the myth of status is a positive projection, or at least an ego ideal to be seen as great of mind or invincible of body. Can you see the dilemma? It is a myth that is utterly unrealistic and unattainable for the great majority. Rather than motivating boys, it ultimately deflates them, sucking the wind from their sails until they are adrift. In the most dire cases, boys lie around consoling themselves with endless hours of electronica and a variety of other forms of self-stimulation. There is a symbiotic relationship here since so many of the preferred games immerse boys in projective ideals, and heroic alter egos. The games eventually replace the need for real accomplishment, and the steady stream of electronic stimulation induces a pleasant trance from which many do not care to be awakened. Boys themselves can often see their own conundrum. Its just that being entry level is incredibly unappealing, and it feels so far away from the promise of rewards. Even if the process could be expedited, of what use are rewards out of sync with a boys true aim? Boys engage the same cognitive distortion about greatness that students in general do about grades. The prevailing belief is that grades are given to students rather than earned. The subtext of this distortion is that grading is highly subjective, or in some cases, all about luck whether the teacher likes me. The milieu of education is partially responsible for this distortion because the way that most school curricula and assessment are designed focuses all of the drama and energy of students on grades. That energy is finite, and should be spent wisely. The essence of my perspective on failure to launch is that the divide between boys idealized selves and their real lives is too great for many of them to overcome. The best word to describe this divide is incongruity. Basically, theres a mismatch between how young men want to feel and think about themselves and the stark reality that stares them in the face each morning as they dutifully prepare for another day in the trenches. We motivate boys when we help close the divide. This closure is an essential form of psychological congruity. It is the foundation of happiness; the type of bliss felt by someone fully engaged by lifes possibilities. As talented as boys are at having fun, they need our help to find happiness. But what if a great many boys cant discover that bliss unless their work is driven by a sense of personal urgency, and what if it is nearly impossible to find that urgency sense of purpose as long as your goals are assigned or programmatic? The boys who have an innate sense of social responsibility, have experienced the bliss of congruity, or who closely identify with their parents ideals, will do just fine. The boys who have an innate need for autonomy, who have never had an opportunity to accomplish something of personal significance, or who feel their lives unfolding according to a script quite different from those of their parents, will be lost. Naturally, there are many boys who float somewhere in between these possibilities. One key solution to a failure to launch has everything to do with work, but little to do with the economy or the need for more jobs. The solution is for young men to discover a sense of purpose and congruity well before they are overcome by adolescent inertia. Ive written about this topic before, so I wont repeat myself here. But I do want to emphasize that social epidemics are largely triggered by a change in the way that human beings relate to one another, and to their individual aims. We may say we want boys to have goals, but what have we done to help them discover goals that are entwined with a sense of their personal destiny? If your son has read Homer or knows Huckleberry Finn, he could quickly grasp this point. But alas, reading Homer or Twain will get him no closer to realizing congruity in his own life than excellent personal hygiene or a stellar report card. Doing is the key to becoming, and the emotional experience of becoming is indispensable to the metamorphosis of boys into men. Theres no question that some boys are more predisposed to being industrious than others. And some find themselves in situations that naturally draw out these inclinations, while others are impoverished by a lack of opportunity or imagination. Despite listening for this problem for quite a few years, tracing the contour of existential disappointment in school performance and assorted family conflicts, I feel more optimistic than ever. First, I believe families, communities and schools have an excellent chance of helping the situation. The solution requires little money, but does require something far more valuable time. Where parents, teachers, coaches and mentors intervene to increase opportunities for congruity, bliss has a reasonable chance of becoming its own epidemic. Second, my current research on behalf of the International Boys Schools Coalition, Locating Significance in the Lives of Boys, has enabled me to spend many hours probing the seeds of motivation among boys from age 8 to 18. 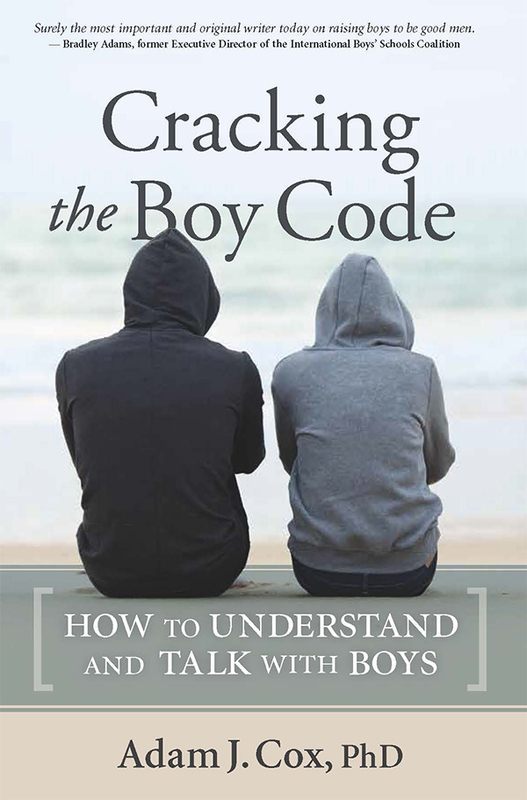 The preliminary findings of this study will be made available to IBSCs membership in June, but I can say now that I have been transformed by my conversations with boys, and their interest in grappling with their own motivation to lead lives of discovery. And we are learning that there are contexts that support these personal journeys. If the most enlightened minds among us are able to see things just as they are, free from projection and distortion, the great majority of us have to contend with the mirrors that both shape and reflect who we are. Adolescence is a time of many mirrors, and who we see reflected is the culmination of our doing. When the time to become a man finally arrives, it is his personal history of doing that convinces him he is ready for the transformation. Regardless of your sons age, please take this to heart now. Its a cold and snowy day in New England. It is the sort of day Thoreau embraced as a test of his passion for the woods, tromping miles in knee deep snow simply to be in his favorite grove of evergreens. As I finish this article, its time to shovel out and reconnect with the transcendent joys of hand work, and the kind of intelligence that can only be stirred by the synchronous effort of mind and body. Ill be asking my nine year-old son to join me in this work, which means he will have to turn off the television or perhaps put down his favorite Percy Jackson adventure. Afterwards well be tired and, for my son, the purpose of our cooperative effort will have been to clear the driveway. But you and I know much better. We know that spontaneous collaboration builds a memory of doing that will one day propel becoming. The trick to motivating my son will be to root out the mythic dimensions of our work, making it more than what it seems to be. Its there that parents become magicians, and the simple act of shoveling snow becomes a story for all time. Many families have to contend with children who don’t want to go to school at some point in the child’s education. Children with anxiety may try to avoid school as early as first grade, while the majority of school refusal cases affect children during adolescence. A study in the current issue of Deutsches �rzteblatt International suggests that parents should not accommodate or encourage the need for a day out of school by giving children sick notes or related excuses. The study’s author, Dr. Martin Knollman, notes that young children ‘express fears and anxieties, especially in the morning, and complain of diffuse physical symptoms.’ He further indicates that 5% to 10% of children are regularly absent from schools in Germany. It is difficult to detect how many of these children might have a mental health problem, but Knollman points out that boys are affected twice as often as girls. According to the study, when such children are referred for psychiatric intervention ‘the primary objective of treatment is to quickly re-establish regular school attendance. Sick notes or prescriptions for residential care breaks are usually not advisable because the child’s behavior may deteriorate as a result.’ As with many child and adolescent disorders, mental health intervention alone is typically insufficient. Children respond best to a coordinated effort on the part of mental health professionals, families, and school staff. Q. What do I do about my 21 year-old son who has absolutely no friends at college and barely talks to me? I’ve tried everything and I can’t tell if he’s just embarrassed or just doesn’t care. First, I hope you’ll pay special attention to the feature article of this newsletter because the problem you describe is somewhat related to a ‘failure to launch.’ Second, it’s important to realize your son is now a man, even if he strikes you as immature. You won’t be able to force him to accept treatment, and if he is like most 21 year-old men he probably feels somewhat less than comfortable about making his mother his confidant. Encourage him to seek help at school, and assure him you won’t pry into his treatment. Offer to help schedule the initial appointment if he would find that helpful, but the real momentum for your son’s help now has to come from him. Your job is to be supportive and to avoid exacerbating the situation with too much obvious intervention. I know that’s a tall order for a concerned parent, but it’s the right thing to do. Q. Several years ago I heard you speak about boys and I learned so much that has helped me with my son. 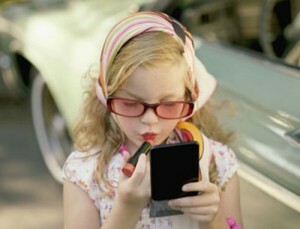 Now Im wondering about how to handle some issues with my youngest, a ten year-old girl who acts as if she is 17. Do you write about girls? How different are they than boys? You ask a big question with respect to gender difference and I cant possibly answer it fully here. I do wish I knew of more books on raising healthy, strong, confident girls. There is panoply of books on the more pathological social and emotional situations that afflict some girls, but we would certainly benefit from more writing on girls’ strengths. Your concern about your daughter is a common one, at least with respect to what is discussed within my own practice. When girls think of themselves as being older than they are it’s one thing – when they start to act as if they are older, it’s another entirely. You and your daughter would likely benefit from seeing a local therapist to sort out your concerns, and reinforce to your daughter your willingness to take action if things get out of control. ‹ Do You See the Forest or the Trees?